If you’re in college studying finance or accounting (or business, or anything else really), you may wonder what options you have for a career in finance when you graduate. There are a few main career choices in finance, with many many more sub-paths that most people follow. You may think that your only option is a job on Wall Street, but in reality, that is where the fewest financial jobs lie. Here are the main finance career choices: corporate finance, Wall Street finance, and personal finance, and the various choices within each of them. Also, depending on the company, you could be involved in mergers and acquisitions, where you would evaluate the prospects of purchasing or taking over another company, and what impact that would have on your company. I also want to include accounting in this bucket. Since every publicly traded firm has to have audited financial statements, third-party accounting firms are huge employers. Starting accountants can get a high paying job at one of these firms right out of school. However, these firms are known to just wear their employees down with the rigor of work. The main job titles found in corporate finance are: financial analysts, accountants, auditors, and then Sr.’s and Directors of each of these roles. For Wall Street jobs, I actually group a large number of career choices in finance together that are traditionally associated with Wall Street. The reason is that these jobs are usually a part of the big banking houses that Wall Street is known for. In this bucket, there is commercial banking, investment banking, hedge funds, and private equity. In each area, there are specific jobs that may be appealing. However, Wall Street jobs are some of the most highly sought after by college graduates, so getting them can be difficult. Commercial Banking is just like it sounds, they offer the commercial banking services that many of us are used to: checking, saving, loans, and more. At the local level, there are jobs like tellers and bank managers, but at the corporate level, there is the full range of positions relating to lending, operations, marketing, and international finance. Private Equity and Venture Capital is the last big area of Wall Street finance, but many times, private equity firms usually stay away from Wall Street in favor of start-up hubs like the West Coast. Private equity firms are the professionals that provide capital to companies (usually start-ups, but also for buy-outs and restructuring). Jobs in private equity and venture capital are wide ranging, since you may be required to wear multiple hats. These companies employ some of the traditional analysts, but usually are held by partners who are experienced in these types of deals. The last of the career choices in finance are jobs that help the individual consumer. Many of these jobs aren’t for new graduates, as most professionals in this space have done their part in the other buckets, either working for a major investment or banking firm, or spending time at a major accounting firm. The major spaces in personal finance jobs include financial planning, insurance, and accounting. Financial Planning advisers are individuals who help others develop their current and future financial plans. There are multiple facets of this job, and this job can be part of a larger company, or a small, locally based firm. Most planners either charge a flat fee (fee based), or a percentage of the assets under management. Generally, financial planners have already served in the investment industry, and are looking to help more individuals. They also usually have their Certified Financial Planner (CFP) designation. Finally, there is Accounting. The field of accounting is huge, and you can be an accountant in any of the buckets above. Public accountants record business transactions, prepare financial statements, audit financial records, and prepare income tax returns. 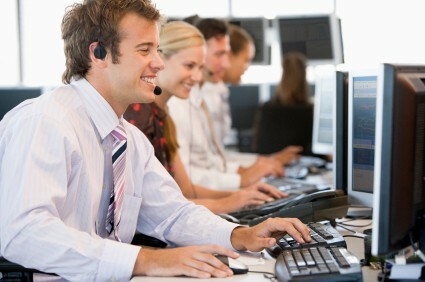 They also usually provide consulting and advice services to the businesses and individuals they serve. Many accounts start in a big accounting firm, and then transition to personal finance once they’ve acquired the needed skills. In personal finance, accountants help with small businesses and preparing taxes, as well as help with financial planning for individuals as well (usually tax related). Readers, do you have a career in finance? Do you have any advice for upcoming graduates who are seeking a career in finance? Accounting & Finance jobs are blended pretty well in most companies. So having a strong accounting background will do you well. I’ve held two different jobs so far with the title of “financial analyst” but the work is much more accounting than it is the corporate finance I came out of school expecting. I agree with you there – almost every company calls their employees financial analysts regardless of what your job actually is. The fortune 500 companies are trying to distinguish between accounting and finance a little more than they used to. Treasury, Financial Planning & Analysis, Mergers & Acquisitions, are all a bit more finance based. Audit, Consolidations, General Ledger, Tax, are all more accounting based. Controlling (especially in a manufacturing environment) is a combination of both. That being said, I’ve done accts payable, treasury (both domestic & intl), cost/plant accounting, general ledger/consolidations, and controlling. One typically leads to the other, and these career paths are not mutually exclusive of each other in any large company. An undergraduate degree in accounting or finance can be a great foundation for a career in business. I suggest pursuing an MBA for further career advancement, perhaps 3 to 6 years after undergrad. If your employer pays, it’s even better! Good summary on financial graduates career options. I thought I’d be an investment banker (corporate finance) when I was studying accounting. After all, this is where big bucks are made. Imagine making big deals and dealing with bigwigs. Life would be definitely good. But I guess it boils down to doing what you love. I love analyzing companies rather than selling them. It’s good to tap dance to work. Then you don’t really have to force yourself waking up for a job that you don’t like. My advice to students is to keep it real. Follow your dreams and do what you love. Offer your services and skills even for free. In the end, money always follows as someone will be willing to pay up for that skills. I have a business degree and my first professional job was as an Accounting Supervisor in a Fortune 100 company. I then went into FP&A as a Sr. Financial Analyst. I left after 5 years with a great accounting and financial analysis background. The analysis background taught me strategic and long range planning and budgeting. My next position was as a Controller of a small/medium sized high tech company. I either grew (promoted) or changed companies to move up. Just before I achieved financial freedom I achieved CFO of a medium sized company. This was a time when I made my rental property a business and added other businesses. I eventually returned to the work world as a consultant for years and now I teach. When I entered the work force I knew I needed to accumulate the right experience for that next position. I had a fairly clear picture of what I was trying to achieve until I realized, I did not enjoy working for someone. Then my goals changed, but my experience was always very helpful in everything I did. The time to accumulate those skills was always worth while. I am in my 7th career, but I always use my skills just differently. Thanks for sharing your story. I’ve heard many similar stories about changing companies to continue to move up. I hold a Master’s in Economics, but took a lot of finance credits in both undergrad and grad school. I got my first job as a Project Accountant, and then held 2 positions (including my current one) in Financial Analyst roles. I am actually working for the university that I attended as a student, and I was told that my M.A. in Economics was the reason why I got the job. 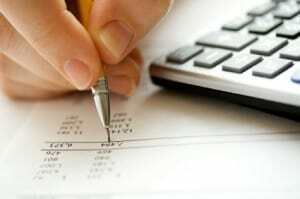 I am looking to obtain a Master’s in Accounting in order to sit for the CPA exam. I would suggest that someone graduating today focus on Accounting (to stay broad), and at least minor in Economics or Math (to show the ability to do critical thinking). My name is Adharsh Kumar, and I am a 18 year old student living in Singapore. This fall I’ll be heading to the big apple to attend Stern for the next 4 years and my hope is to make it onto wall street at some point in my career. I found this blog entry both fascinating and helpful because it was quite informative about the various vocations available and it really laid down a variety of options I would have in the future. The advice I gathered from the comments have also been quite helpful, and I believe that I’ll most probably follow them. Thank you for the great post!